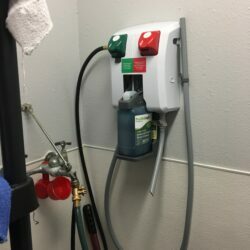 Professional grade facility cleaning solutions for vet offices, clinics, zoos, shelters, and more. Free shipping over $149. Dealer discounts available. Official ProVetLogic Southwest Regional Distributor. 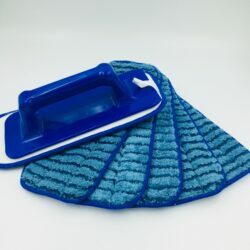 The 10″ Blue Hand Trowel is used with the 10″ Microfiber Pads. 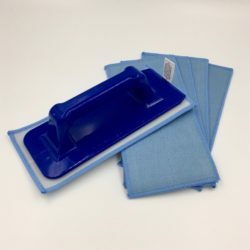 it is made of durable plastic and has an EZ grip handle for arthritic handles. the underside has hard plastic velcro which has plastic rivets for long term durability. 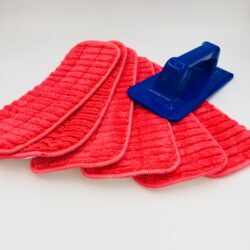 These microfiber pads have scrubbing strips on them with durable velcro on the back to be used with the Hand Trowel or the Wall Wash Frame for quick dusting, cleaning or drying of touch surfaces such as table tops, exam tables, counter tops, walls or windows. They are 10″ in length and come in a 6 pack. Very durable. Will wash 100’s of times before losing effectiveness. Laundry Instructions. 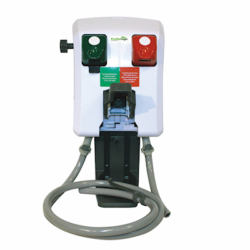 ProVetLogic ProLoc Dispenser – The secure system for economically dispensing Animal facility Disinfectant and controlling product dilution rates. General level and Parvo level. 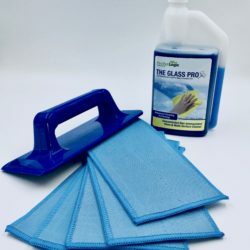 Window Cleaning & Polishing Kit w/ 32 oz Glass Pro Concentrate (27¢/usable quart). 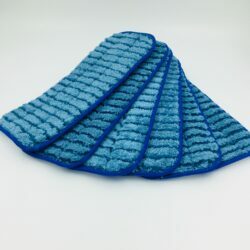 This includes (5) 10″ smooth microfiber glass pads, (1) heavy duty hand trowel with riveted velcro on the back and (1) 32 oz squeeze bottle with measuring cup of The Glass Pro concentrated window cleaner. Only 3 oz per gallon. Makes 42 quarts. Save on paper towel costs. Save on glass cleaners. Make 42 usable quarts at 27¢ per quart. No streaking! 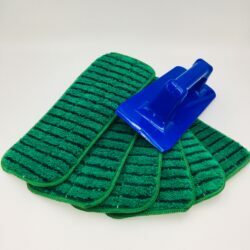 Pads clean and polish at same time. 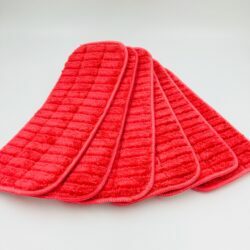 Pads can be washed hundreds of times. Trowel handle is rounded and good for arthritic hands. 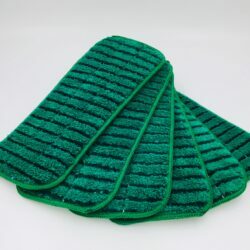 Riveted velcro pads that won’t come loose or peel off over time.